Home › Advice › Did You Know… we have access to a wide range of support? 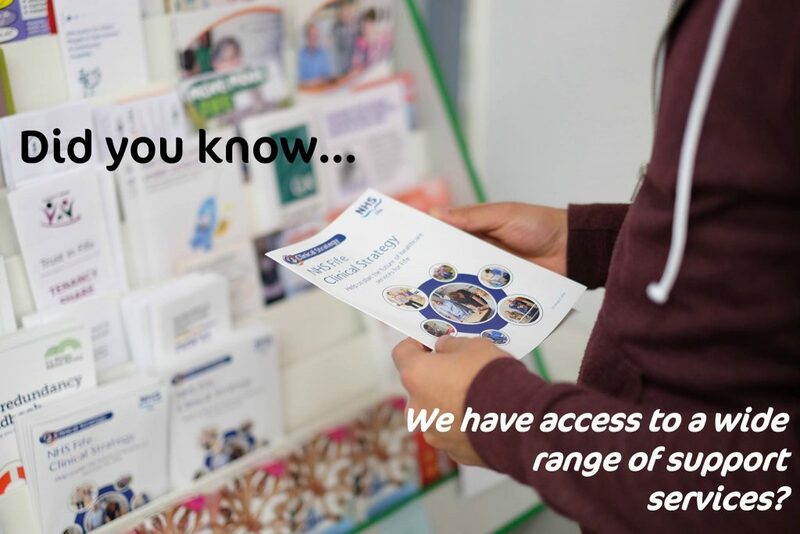 Did You Know… we have access to a wide range of support? We’re here to help anyone! Accessing support can be difficult, if you don’t know where to start. We can help you find the right organisation to support you – we’ve got contacts across Fife, all ready to help you. If you’re not sure where to start, pop in and speak to one of our advisors today. We’re open Monday to Friday, 10am-4pm – no appointment necessary! ‹ Did You Know… 1in5 parents skip meals during the holidays?